launched in 1989 as Dow-Elanco, a joint venture between Dow and locally based Eli Lilly and Co. The company adopted its current moniker in 1997, when Dow bought out Lilly’s 40-percent share for $900 million. Dow Completes Acquisition of Korea’s Pacific Epoxy Co., Ltd. Linear low density polyethylene (LLDPE) resins are used for such diverse applications as garment bags, trash bags, container lids, housewares, stretch wrap, waste containers, disposable diapers and shipping sacks. TUFLINTM LLDPE high-strength film resins are used in trash bags, packaging and stretch wrap, and shipping sacks. High density polyethylene (HDPE) resins are used for pails, food tubs, housewares and toys. They are also used to make drums and bottles for household and industrial chemicals such as liquid detergents, bleach, motor oil and antifreeze, and for food packaging, merchandise bags and multi-wall liners. UNIVALTM HDPE resins are used for milk, juice and water bottles because of their excellent taste and odor properties. FLEXOMERTM Resins are very low density, extremely flexible olefin copolymers that bridge the gap between plastics and rubber. They are used for hose and tubing, ice and frozen food bags, food packaging and stretch wrap, as well as impact modifiers when blended with other polymers. Wire and cable insulation and jacketing compounds protect power distribution cables, industrial power and control cables, and copper and fiberoptic telecommunication cables. Union Carbide is the world's leading supplier of polyethylene-based insulation, semiconductive and jacketing compounds to the wire and cable industry. Ethylene copolymer resins, including ethylene ethyl acrylate (EEA) and ethylene vinyl acetate (EVA), are used in a variety of film, hose and tubing applications and as an additive to other polymers. Polypropylene resins are used to make a variety of industrial and consumer products, including textiles, many types of packaging, automotive parts, appliance housings, toys, outdoor furniture and much more. The Chemicals business is a leading global producer of each of its basic chemical products. These products are sold to many industries worldwide and also serve as key raw materials in the production of many of Dow's performance and plastics products. carbon tetrachloride, caustic soda, chlorine, Dowper dry cleaning solvent, ethylene dichloride (EDC), ethylene glycol (EG), ethylene oxide (EO), Liquidow liquid calcium chloride, Maxistab stabilizers for chlorinated solvents, methylene chloride, Peladow calcium chloride pellets, perchloroethylene, propylene oxide (PO), Safe-tainer closed loop delivery system, trichloroethylene, and vinyl chloride monomer (VCM). The Polyethylene business supplies polyethylene-based solutions through sustainable product differentiation. Dow is the world's leading producer of polyethylene resins, one of the most versatile plastic materials. Also included in the business are polyethylene terephthalate (PET), purified terephthalic acid (PTA), and several specialty resins. Affinity polyolefin plastomers, Aspun fiber grade resins, Attane ultra low density polyethylene copolymers, Dowlex linear low density polyethylene resins, Elite enhanced polyethylene resins, High density polyethylene resins (HDPE), Lighter C PET, Low density polyethylene resins (LDPE), Primacor copolymers, PTA, and Saran PVDC resins and films. Polypropylene (PP) is leveraging Dow's innovative manufacturing technology, research and product development expertise to become a major global PP supplier. Polypropylene is managed through the Engineering Plastics business. The Polystyrene business is the global leader in the production of polystyrene resins, uniquely positioned with geographic breadth and broad industry experience to meet a diverse range of customer needs. By implementing breakthrough proprietary technology, Dow continues to improve efficiencies and product performance. Aim advanced styrenic resins, EcoPLA renewable biodegradable polymers, Styrenic alloys, Styron general purpose polystyrene resins, Styron high impact polystyrene resins, and Styron ignition resistant polystyrene resins. Insite Technology is a proprietary catalyst technology that enables Dow and its customers to improve the performance of a variety of plastics. Insite Technology is leveraged to develop new products and strategic business opportunities through licensing. A new Dow innovation, Index interpolymers, was developed from Insite technology. DuPont Dow Elastomers L.L.C., a 50:50 joint venture, leverages Insite technology into elastomeric products. The Engineering Plastics business offers one of the broadest ranges of engineering plastics of any global plastics supplier. Dow's Engineering Plastics portfolio is backed by technical expertise and a commitment to delivering improved economics and performance. Calibre polycarbonate resins, Isoplast engineering thermoplastic polyurethane resins, Magnum ABS resins, Pellethane thermoplastic polyurethane elastomers, Prevail engineering thermoplastic resins, Pulse engineering resins, Questra crystalline polymers, Tyril SAN resins, and Vydyne nylon. 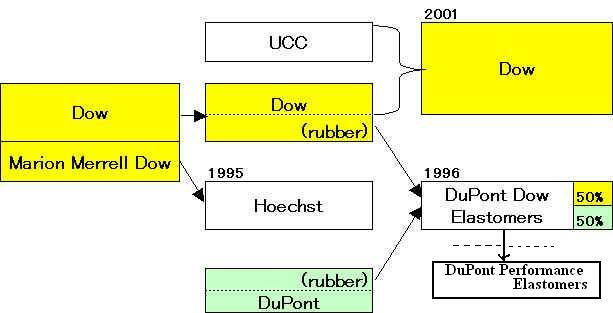 In May 2000, Dow Chemical Company completed the reconstruction programme of its newest operation in Germany - Buna Sow Leuna Olefinverbund GmbH (BSL). BSL was created in 1995 when Buna GmbH in Schkopau, Sachsische Olefinwerke in Bohlen and Leuna Polyolefine GmbH merged to form Buna Sow Leuna Olefinverbund GmbH. The same year Dow announced its intention to take an 80% stake in the operation and to manage the reconstruction process of the company. Dow also announced that from June 1, the BSL sites will be known as Dow Central Germany, reflecting Dow's 100% ownership of the operation from that date. Dow began the site study last fall when it announced Union Carbide Corp, a wholly owned subsidiary, plans to permanently shut down its 975-mil lb/yr Seadrift and 1.5-bil lb/yr Texas City, Texas, ethylene plants by 2005. Based on the site study analysis, Carbide's site in Seadrift, Texas, has been selected as the preferred location for a 900,000 mt/yr ethylene plant, which will use ethane and propane as feedstocks, Dow said. The unit will cease operation on September 12, 2003, in line with the overall timeframe that was announced earlier this year. The Texas City olefins plant was safely taken out of operation on June 16, 2003. The Dow Chemical Company today announced that it has signed agreements to sell selected portions of two amines businesses as part of the process to receive regulatory approval for Dow's merger with Union Carbide. The agreement with INEOS includes Dow's ethanolamines (EOA) manufacturing assets in Plaquemine, Louisiana; Dow's global EOA business including Dow's U.S. and Canadian GAS/SPEC customer base, the associated technology, trade names and access to one-hundred percent of the MDEA capacity of Dow's Freeport plant which Dow will continue to own and operate. The agreement with Huntsman includes Dow's global EA business; and Dow's EA manufacturing assets in Freeport, Texas; and up to fifty-percent of the Terneuzen EA asset capacity rights. Union Carbide Corporation, a wholly owned subsidiary of The Dow Chemical Company, has announced the permanent shutdown of the Texas City Olefins plant. The company also announced the planned shutdown of its Seadrift olefins plant no later than the end of 2003. Environment, Health and Safety considerations will remain a top priority during the shutdown and the cleaning of the unit, reported the company. "It joins our epoxy facilities in Kumi, Korea (30,000 metric tons per annum) and Kinu Ura, Japan (40,000 metric tons per annum) to provide a superior network of epoxy resin facilities in the largest global concentration of demand," said Graham Daley, EP&I Commercial Director, Pacific. The new facility joins a Dow styrene butadiene latex facility and a joint venture polystyrene resin facility, which began operations in 2002. All three facilities are world-scale and state of the art. The acquisition would include intellectual property, inventory and technology for crude acrylic acid, glacial acrylic acid, ethyl acrylate, butyl acrylate, methyl acrylate and 2-ethylhexyl acrylate, as well as acrylics production assets at the Celanese Clear Lake, Texas facility. Celanese AG and The Dow Chemical Company announced today that they have reached an agreement for Dow to purchase the acrylates business of Celanese. Plastics, headed by Romeo Kreinberg, which includes Polyethylene (PE), Polypropylene (PP), Polyethylene Terephthalate (PET), Polystyrene, Engineering Thermoplastics (ETP), Fabricated Products; Automotive, Wire and Cable; and Rubber and Elastomers. Chemicals and Intermediates, headed by Michael R. Gambrell, which includes Organic Intermediates, Solvents and Monomers (OISM), Oxide Derivatives, Chlor-Vinyls, Chlorinated Organics, Cal/Mag, Propylene Oxide/Propylene Glycol (PO/PG), and Acrylates. Performance Chemicals and Thermosets, headed by Phillip H. Cook, which includes Polyurethanes, Polyurethane Systems, Epoxy, Dow Latex (Emulsion Polymers & UCAR Emulsion Systems), Industrial Chemicals, Specialty Polymers (excludes Acrylates), Water Soluble Polymers, Custom and Fine Chemicals, and Licensing. ・Operating at the corporate level on strategy and portfolio management. Dow to build speciality PE plant in Spain. Dow Chemical is to erect a speciality PE plant at Tarragona, Spain. Completion is due in 2Q 2006. Production will comprise a wide range of products from speciality LLDPE resins and ultra-low density resins to polyolefins, plastomers and elastomers. Capacity will be over 300,000 tonnes/y. Also at Tarragona, Dow has completed the first commercial-scale production unit for the company's XLA elastic fibre. The Dow Chemical Company (Dow) announced that it plans to reduce production at its vinyl chloride monomer (VCM) facility and cease production of ethylene dichloride (EDC) at the Unit 1 facility in Oyster Creek, Texas, by the end of 2005. The remaining chlor-alkali, Oxy EDC, and VCM plants in Unit 5 at Oyster Creek will not be affected by this decision and will continue to operate. "Long-term operation of this portion of the facility would require significant capital investments which could not be justified against other options within the Dow portfolio. In addition, high and volatile energy and feedstock costs on the U.S. Gulf Coast have increased the cost of operating this facility. This decision maximizes Dow's flexibility for long-term value creation." Dow will honor its current contract VCM commitments to its customers by supplying from its other VCM plants and via commercial agreements. The Shenhua Group and The Dow Chemical Company have signed an agreement to jointly evaluate the feasibility of coal-to-olefins projects in China. A feasibility study which covers areas such as economics and market analysis, logistics and technological applications will be undertaken to evaluate the potential and value of building large scale coal-to-olefins plants in China. Areas around Yulin 楡林 city, Shaanxi 陜西province, have been identified as the location for the study which will start in the first quarter of 2005. It is anticipated that the study will be concluded by end of next year. Shenhua Group Corp.is responsible for the overall planning/development & operation of the massive Shenfu Dongsheng coalfield as well as the related railway, power station, coal terminal and shipping fleet; pursuing the unified development of coalmine, railway, electric power, coal terminal and shipping fleet; undertaking the integrated operation of coal production/transportation/marketing; developing domestic & overseas investment & financing and trading business in the aforeaid respect and unfolding industrial development in the areas of finance, telecommunication and high-tech etc. The Dow Chemical Company has announced a planned 20,000 metric ton global expansion for the production of its METHOCEL* methylcellulose (MC) and hydroxypropyl methylcellulose (HPMC) products. This multi-phase expansion plan focuses on Dow's continued global leadership and commitment to the industrial and premium marketplace for water soluble polymers. The first phase involves increasing production by 3,000 metric tons at Dow's Stade, Germany facility. This project is currently underway and will be completed in early 2006. This is the second recent expansion at the Stade facility, with a full new train brought on-stream in 2003. In North America, Dow intends to implement an additional 17,000 metric tons of production between Dow's two facilities in Midland, Michigan and Plaquemine, Louisiana. The overall building materials industry continues to grow in excess of 6% per year in North America, and these expansions will ensure continuous support of this industry well into the future. In addition, plans also include enhanced capabilities for manufacturing premium and specialized grades of Dow products in support of the pharmaceutical, food and industrial specialties businesses. Dow is anticipating the Midland facility start-up to be in 2007, while Plaquemine is planned for 2007/2008, subject to state and local tax incentives. Marty Kollmeyer, global business director for METHOCEL cellulosics products at Dow, comments, "This action is consistent with our strategy to invest in our cellulosics business and grow our position in all market segments on a global basis. A global expansion of this magnitude is a significant investment to ensure we can meet our customer's needs. This decision to expand now is based on continued global demand strength across all major industries, including building materials - the largest. These expansions will also enhance our capability to provide even more specialized and premium products needed for the food and pharmaceutical businesses as well as the ability to participate in emerging new applications for these multi-functional polymers." Dow MC and HPMC products, known as METHOCEL cellulose ethers, are used in a wide variety of industries and applications, including tile grouts and mortars, tape joint compounds, plasters, paper coatings, resins and catalytic converters. Specialized Food grades and Premium grades are used respectively as functional food ingredients and in the pharmaceutical industry as tablet coatings and in controlled release formulations. For additional information about METHOCEL cellulose ethers from Dow, please visit www.methocel.com. Dow's Water Soluble Polymers enhance the physical properties and performance of essential consumer products including foods, personal care products, pharmaceuticals, household products, paint, and building materials, among others. Water Soluble Polymers consist of Amerchol Corporation, a wholly owned subsidiary of The Dow Chemical Company, CELLOSIZE™ hydroxyethyl cellulose, ETHOCEL* ethylcellulose resins, METHOCEL cellulose ethers, and POLYOX™ water-soluble resins. These expansion projects for METHOCEL will continue to promote Dow's global leadership in the markets served by this family of specialty polymers. The Dow Chemical Company continues to make progress with its plans to increase cellulosics capacity at production facilities in Midland, Michigan; Plaquemine, Louisiana and Stade, Germany. As announced in March 2005, the expansions will enable an additional 20,000 metric tons of METHOCEL™ cellulose ethers to be produced. This multi-phase expansion plan focuses on Dow's continued global leadership and commitment to the industrial and premium marketplace for water soluble polymers. The first phase involves de-bottlenecking of current production capabilities at Dow's Stade, Germany facility. This phase is currently underway and will be completed in 2006. This is the second recent expansion at the Stade facility, with a full new train brought on-stream in early 2003. Dow's North American facilities are the focus of the second phase of the project, with the first expansion in Midland. The equivalent of a full-train expansion will be achieved by installation of new post reactor processing equipment through optimization of our current assets. This project has received support for state and local tax incentives to move forward on an aggressive schedule for start-up in 2007. 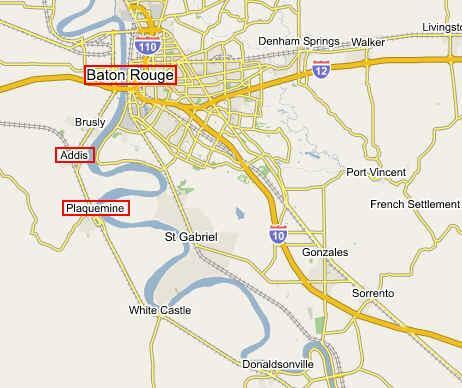 Expansion in Plaquemine will follow the Midland project and will include the first North American train capable of manufacturing hydroxyethyl methyl cellulose (HEMC), a functional polymer supporting our commitment to the construction industry. Dow is anticipating the Plaquemine facility start-up to occur in 2008. Marty Kollmeyer, global business director for METHOCEL™ cellulosics products at Dow, comments, "Dow's strategy is to invest in opportunities that will strengthen the Company's position in key growth economies around the globe and will enable us to grow our business with strategic customers and in strategic markets. Global demand for methyl cellulosics has been growing at an average of about 6 percent per year. These actions are consistent with our strategy to invest in our cellulosics business and maintain our historical leadership position by growing in all market segments on a global basis. A global expansion of this magnitude is a significant investment to ensure we can meet our customers' needs. Based on continued demand strength across all industries, including construction - the largest - we feel it is critical to further develop our facilities and leverage new technologies. These expansions will also enhance our capability to provide even more specialized and premium products needed for the food and pharmaceutical businesses as well as the ability to participate in emerging new applications for these multi-functional polymers." Univation Technologies is a 50/50 joint venture between ExxonMobil Chemical Company and The Dow Chemical Company. Univation was originally formed in 1997 as a joint venture between Exxon Chemical Company and Union Carbide to license the UNIPOL PE Process, metallocene catalyst technology, and to sell metallocene catalysts. In 1999, Exxon and Mobil merged to form ExxonMobil Corporation, and in 2001, Dow acquired Union Carbide, leading to a restructuring of Univation. As part of our restructuring, Univation took full responsibility for the UNIPOL PE licensing business and the Ziegler-Natta and Chromium catalyst business. At the same time, Dow and ExxonMobil granted all the resources necessary to make Univation a world class PE licensing and catalyst company. Over thirty years of PE process innovation stand behind Univation Technologies. In the late 1960s, a method using chromium and Ziegler-Natta catalysts in the UNIPOL? PE gas-phase process was invented to produce high-density PE. In the late 1970s, that knowledge extended to the use of Ziegler-Nata catalysts to make linear or low-density PE. In the mid 1990s, ExxonMobil Chemical Company developed the first commercial single-site metallocene catalysts for use in the UNIPOL PE process. Under Univation stewardship, numerous catalyst and process enhancements have taken place. These include the development of bimodal catalysts, enabling the production of bimodal film resins in a single reactor. The Dow Chemical Company and Snamprogetti, the engineering and main contracting company of Italy's Eni, announced today that both companies are jointly developing a new process for the production of styrene monomer from ethane and benzene. The process, based on proprietary technology, would enable significant cost savings. "The significance of this new process would be that producers can take advantage of a much lower cost feedstock in ethane, eliminating the need for upstream investment in ethylene production at a steam cracker or ethylene purchases." Dow had previously acquired 80 percent of Pacific Epoxy Co., Ltd. in January 2001. The current agreement is for the remaining 20 percent of the company. Terms of the agreement were not disclosed. Effective today, Dow becomes 100 percent owner of the Pacific Epoxy Co., Ltd. facility in Kumi, Korea. The 30,000 MT (66 million lbs) per year converted epoxy resin (CER) plant currently supplies brominated, solid, and solid-solution epoxy resins for use in protective coatings, electronics and specialties. Dow is the world's largest global supplier of epoxy products and intermediates and the most committed epoxy manufacturer in Asia Pacific. The company currently operates three epoxy manufacturing facilities in the region, including a 40,000 MT/year (88 million lbs) facility in Kinu Ura, Japan, a 41,000 MT/year (90 million lbs) facility in Zhangjiagang, China, and the Pacific Epoxy Co., Ltd. Kumi facility in Korea. Earlier this year, Dow announced its plan to build a state-of-the-art R&D Center in China to better serve its customers. ・Started operations in 1966 as Union Carbide Corporation. Union Carbide was acquired as a wholly-owned subsidiary of The Dow Chemical Company in February 2001. 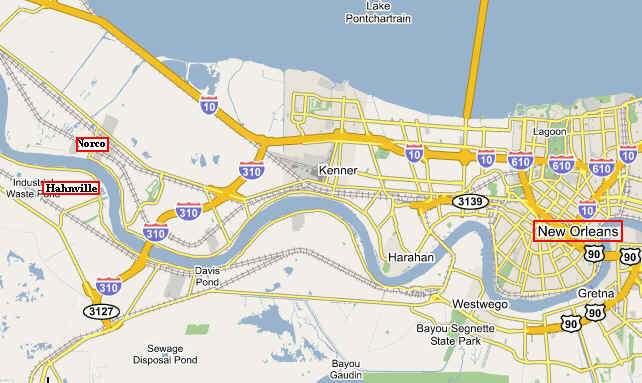 ・ 2,000-acre site just upriver from Hahnville and 40-acre site in Norco. To further accelerate implementation of the company's long-term strategy, The Dow Chemical Company will realign its current three portfolios of businesses into two: Basic Plastics & Chemicals, and Performance Plastics & Chemicals, according to Andrew N. Liveris, president and CEO. Several executive changes have been announced as a result. "Our strategy for the past decade has been to move to a basics- and performance-based business model," Liveris stated. "Dow is accelerating the implementation of that strategy, capitalizing on our historical strengths in low-cost production, as well as our growth and success in innovative, market-driven businesses. This alignment will drive independent strategies and actions based on the needs of each type of business within these portfolios, with the ultimate goal of maximizing Dow's earnings and extracting the full value of our company's strengths in diversification, integration, global reach, and technology." Honeywell announced today it has entered into a definitive agreement to acquire the 50 percent interest in UOP LLC currently owned by Union Carbide Corp., a wholly owned subsidiary of The Dow Chemical Company, giving Honeywell full ownership of the entity. UOP is a leading international supplier and licensor of process technology, catalysts, process plants and consulting services to the petroleum refining, petrochemical and gas processing industries. UOP, which had 2004 annual revenues of $1.2 billion, will become part of Honeywell’s Specialty Materials portfolio of businesses. UOP was founded as the National Hydrocarbon Company in 1914 by California inventor Jesse A. Dubbs and Chicago industrialist J. Ogden Armour, with the goal of developing and licensing technology to the petroleum refining industry. In 1915 the name was changed to Universal Oil Products. Four years later, the company introduced its Dubbs thermal cracking process, a continuous process to convert crude oil into more useable products. Announcing the sale, Dow Chief Executive Officer, Andrew Liveris, explained that despite the success of the joint venture with Honeywell, UOP is not considered strategic to Dow's future growth agenda. The Dow Chemical Company announced today the decision to close its polystyrene production facility at Barry, South Wales, in the United Kingdom, by the end of 2005. Dow produces STRYON* and STYRON A-TECH* Polystyrene Resins at six sites in Europe: Tessenderlo, Belgium; Schkopau, Germany; Lavrion, Greece; Terneuzen, The Netherlands; Bilbao, Spain; and Barry. The plant in Barry has a capacity to produce 75,000 MT annually of polystyrene but has operated historically below capacity. The Dow Chemical Company continues to make progress with its plans to increase cellulosics capacity at production facilities in Midland, Michigan; Plaquemine, Louisiana and Stade, Germany. As announced in March 2005, the expansions will enable an additional 20,000 metric tons of METHOCELTM cellulose ethers to be produced. This multi-phase expansion plan focuses on Dow's continued global leadership and commitment to the industrial and premium marketplace for water soluble polymers. Dow MC and HPMC products, known as METHOCELTM cellulose ethers, are used in a wide variety of industries and applications, including tile grouts and mortars, tape joint compounds, plasters, paper coatings, resins and catalytic converters. Specialized Food grades and Premium grades are used respectively as functional food ingredients and in the pharmaceutical industry as tablet coatings and in controlled release formulations. For additional information about METHOCEL? cellulose ethers from Dow, please visit www.methocel.com. METHOCEL cellulose ethers are water-soluble methylcellulose and hydroxypropyl methylcellulose polymers that bind, retain water, thicken, form films, lubricate, and much more. They add unique physical properties and outstanding performance to a huge array of products, including building materials, food, personal care products, and pharmaceuticals. Dow Chemical is pitching for lower cost business in Eastern Europe by appointing a Romanian polypropylene company to make polyethylene on its behalf. It has done a deal with Rompetrol Chemicals, part of the Rompetrol Group, for Rompetrol to make LD and HDPE using Dow technology and feedstock - Dow will supply ethylene to Rompetrol Petrochemicals until the Romanian company starts up its own pyrolysis installation. Initial production is expected at the rate of 60,000 tonnes a year, with a target of an annual 100,000 tonnes. In addition to the toll manufacturing agreement, the two companies expect marketing benefits through Rompetrol's position in Eastern Europe which will benefit Dow, and Dow's technology and market presence which Rompetrol expects will enhance its domestic market position, and its position in markets to which it currently sells polypropylene - Rompetrol is Romania's leading polypropylene producer with 64 per cent of the domestic market and 80,000 tonnes annual capacity. The Dow Chemical Company ("Dow"), the leading producer of glycol ethers, today announced that it will proceed with construction of a new propylene oxide-based glycol ethers facility at Zhangjiagang, Jiangsu Province, the People's Republic of China. This state-of-the-art facility is scheduled to come on line in late 2008, with an annual nameplate capacity of 120,000 metric tons. The Glycol Ethers business, a member of the Specialty Chemicals Business Unit, is the industry leader in glycol ether products used in paints and coatings, cleaning products, inks, and electronics. Dow offers a full range of ethylene-based and propylene-based glycol ether products, including DOWANOL glycol ethers, and CELLOSOLVE and CARBITOL solvents. Production locations are in Seadrift, Texas; Hahnville, La. ; Plaquemine, La. ; Midland, Mich.; Stade, Germany; San Lorenzo, Argentina; and Kerteh, Malaysia (OPTIMAL Group of Companies). Dow Technology Licensing, a business group of The Dow Chemical Company and its consolidated affiliates (Dow), today announced that China Petrochemical International Company Limited (a fully owned subsidiary of SINOPEC) has agreed to license METEOR LEC EO/EG process technology from Union Carbide Chemicals & Plastics Technology Corporation, a subsidiary of The Dow Chemical Company, to build plants for SINOPEC Tianjin Branch and Zhenhai Refining & Chemical Company, Ltd.
SINOPEC Tianjin Branch will build a 420 KTA monoethylene glycol (MEG) plant as part of its 1 million MTPA ethylene cracker facility located in the Bohai Gulf, the closest seaport to Beijing. Zhenhai Refining & Chemical Company, Ltd. will build a 650 KTA MEG plant located in the southern region of mainland China. The Dow Chemical Company, a world leader in the chemical industry, today signed a Letter of Intent (LOI) with the Administrative Committee of Zhangjiagang Free Trade Zone in Jiangsu Province and expressed its intention to significantly step up investment in China. Located on the Yangtze River approximately 200 kilometers (125 miles) upstream from Shanghai, Zhangjiagang is uniquely positioned to supply domestic customers as well as export markets. The LOI covers products in three downstream Performance businesses of Dow - DOWANOL(TM) PM glycol ethers in Specialty Chemicals, styrene butadience latex in Dow Latex, and STYROFOAM(TM) brand insulation in Dow Building Solutions. Dow currently operates three world-scale, state-of-the-art facilities in the Yangtze River International Chemical Park in Zhangjiagang Free Trade Zone: a converted epoxy resin plant, a tyrene butadiene latex facility, as well as a polystyrene resin plant. Total investment so far is about US$300 million. The facilities under the LOI would bring an additional US$200 million investment to this strategic site in China. The Dow Chemical Company and Zhejiang Omex Environmental Engineering Co. Ltd. (OEE) today announced that Dow has agreed to acquire OEE. This acquisition establishes Dow as a leader in advanced component offerings for water purification. OEE will bring new critical components that, together with Dow’s existing technology offerings, will create the framework for a new Dow Water Solutions business. Terms of the agreement have not been disclosed. The acquisition of OEE will allow Dow to expand into three critical, enabling component technologies for water treatment: Ultrafiltration (UF), Membrane Bio-Reactor (MBR) membranes, and Electrodeionization (EDI). With these technologies, Dow can now provide an enhanced component offering for its global customer base. a granular titanium oxide with strong affinity for arsenic, lead, and other heavy metals. The Dow Chemical Company today announced completion of its acquisition of Zhejiang Omex Environmental Engineering (OEE). The acquisition of the water treatment company further strengthens Dow’s leading position in advanced solutions for water purification at a time of increasing efforts to address the world’s water scarcity and environmental sustainability challenges. Zhejiang Omex Environmental Engineering Co. Ltd.
Zhejiang Omex Environmental Engineering Co. Ltd. (OEE) is an innovative company that has been providing design engineering and installations for high-purity water facilities since 1995. Located in Huzhou, Zhejiang, China, it has become a premier water treatment and design company, specializing in pure and ultra pure water applications. OEE’s specialties include research and development, design, engineering, manufacturing, installation, and service of Integrated Membrane Technology (IMT) equipment used in the process of water treatment. IMT consists of three major membrane-based water treatment components sold under the OMEXELLTM brand. They are: Ultrafiltration (UF), Reverse Osmosis (RO) and Electrodeionization (EDI). OEE manufactures both UF and EDI components. OEE has emerged as a leader in IMT with its patented spiral wound EDI and unique hollow fiber UF technologies. OMEXELL component manufacturing is proudly certified as compliant with ISO 9001. The primary systems manufacturing is done in a new, custom-built 20,000 square meter facility. The complex in Huzhou also has a 4,700 square meter membrane manufacturing center and a 5,600 square meter membrane R&D center complete with the latest technology in testing and analytical equipment. Industry proven UF and EDI systems, together with RO, make IMT a cost-effective alternative for total high-purity water treatment. There are many equipment options and configurations that these systems can be used in to provide specific water purification objectives. UF-RO-EDI systems can be used in tandem for complete water treatment applications, independently for specialized applications, or in paired configurations such as UF-RO and RO-EDI for alternate water treatment requirements. OEE currently employs over 500 people involved in manufacturing, design, engineering and fabrication. Dow Epoxy, a business unit of The Dow Chemical Company (“Dow”), today announced plans to invest more than US$200 million over the next five years in manufacturing and R&D facilities in China. Dow Epoxy is a leading global supplier of epoxy resins and related feedstock products with 10 manufacturing facilities worldwide, including plants in Zhangjiagang, Jiangsu Province, China; Gumi, Korea; and Kinu Ura, Japan. To support continued growth in China and the broader Asian region, Dow Epoxy plans to build a 100,000 MTPA world-scale liquid epoxy resins (LER) plant at its existing site in Zhangjiagang, and a 150,000 MTPA epichlorohydrin (ECH) plant in a soon-to-be-announced site also in China. Both units are expected to start up in the 2009-2010 timeframe. At the same time, Dow Epoxy plans to expand the capacity of its converted epoxy resins (CER) plant in Zhangjiagang from its current 41,000 MTPA to 75,000 MTPA. In another related move, Dow Epoxy will also establish a Global Application Development Center in China, further strengthening customer support in China and across the region. Dow Epoxy is one of the largest ECH suppliers in the world. The new 150,000 MTPA world-scale ECH plant in China, which is expected to start up in 2010, would be the first to use a new Dow proprietary glycerine-to-epichlorohydrin technology. Glycerine is a bio-renewable product generated during bio-diesel production. The use of glycerine as the primary feedstock in Dow’s ECH manufacturing represents a major technology breakthrough, providing significant cost and environmental advantages versus the conventional process technologies. Dow Epoxy is one of the world’s largest producers of epoxy resins and intermediates, with strong positions in a number of major applications including coatings, electrical laminates and civil engineering. Three of the company’s 10 epoxy plants are in the Asia Pacific region, including a 41,000 MTPA facility in Zhangjiagang, China; a 40,000 MTPA facility in Kinu Ura, Japan; and a 30,000 MTPA facility in Gumi, Korea. Dow Epoxy is also the global market leader in epichlorohydrin, with more than one-third of global capacity share and manufacturing facilities in all major regions. More information about Dow Epoxy is available at www.dowepoxy.com and www.epoxyavenue.com. Dow Epoxy, a business group of The Dow Chemical Company and a leading global supplier of epoxy resins and related feedstock products, today announced Shanghai Chemical Industry Park (SCIP) as the selected site for its world-scale 150,000-MTPA glycerine-to-epichlorohydrin (GTE) plant and 100,000-MTPA liquid epoxy resins (LER) plant. Both plants are slated to start up in the 2009-2010 timeframe. Today's announcement follows the signing of a Letter of Intent (LOI) by Dow Epoxy with SCIP, and an additional LOI with Shanghai Chlor-Alkali Chemical Co., Ltd. (SCAC) and its subsidiary Shanghai Tianyuan Group Huasheng Chemical Co., Ltd. (TYHSC 上海天原華勝化工) for the supply of critical raw materials for both the GTE and LER plants. SCIP is located in Caojing on the north coast of Hangzhou Bay, approximately 50 kilometers (31 miles) from Shanghai city, China. The announcement directly underscores Dow's growth strategy, and marks another major step forward in the Company's quest for sustainable chemistries. The world-scale GTE facility will be the first to use Dow's innovative and proprietary GTE technology, which uses a renewable resource - glycerine from bio-diesel - to produce epichlorohydrin. At the cutting edge of innovation, this breakthrough technology provides significant cost and environmental advantages versus the conventional process technologies. In 2006 Dow launched a stand alone, full-process GTE demonstration unit at its Stade site in Germany. Solvay announces today that it will build a new epichlorohydrin plant on its industrial site of Tavaux, France, implementing a novel process with greatly enhanced environmental performance. The process, called Epicerol, was successfully developed by Solvay’s R&D and is based on the transformation of glycerine, a by-product of the biodiesel industry. The new plant, which is scheduled to be operational by the first half of 2007, will be fed with glycerine derived from rapeseed oil and fits perfectly with the development of the Biodiesel industry actively supported by the French government. The Dow Chemical Company and Izolan announced today the formation of a joint venture company that will provide customer-tailored, polyurethane systems products to a growing customer base in Russia. Subject to regulatory and other customary approvals, the new company, Dow Izolan, will be based in Vladimir, a city 170km north east of Moscow. Located in Vladimir (Russia), Izolan was established in 1991 by recognized Russian specialists in the polyurethanes science and chemistry applications. Izolan main activity is the production and sales of Polyurethane Systems for rigid and flexible foams. Izolan employs about 100 employees and has more than 400 customers in Russia and the CIS (Commonwealth of Independent States). In 2005, Izolan Systems sales in Russia reached more than 20,000 MT, making Izolan the market leader in the Polyurethane Systems in Russia and the CIS. More information about Izolan can be found at www.izolan.ru. Zhejiang Pacific Chemicals Corporation (ZPCC), a wholly owned subsidiary of The Dow Chemical Company, has celebrated the 10th anniversary of its production plant in Ningbo, Zhejiang province, with outstanding business results and environmental and safety records. With an annual capacity of 48,000 metric tons of basic flexible and rigid polyol and 24,000 metric tons of formulated polyol, the Ningbo plant has doubled its capacity in the past decade. Widely used in foam cushioning and rigid insulations, these products are also used in other end user markets such as beddings, fabric and textile linings, automotive seating, and footwear in-sole padding. The past decade has also seen tremendous achievement of ZPCC's Ningbo site in its environmental, health and safety performances. Since 2000, the site has been injury-free. And, for more than 7 years, there has been no reportable leaking or spilling incident in the site. "This is an absolutely world class performance and puts the Ningbo site on a par with - if not better than - the best Dow sites anywhere in the world," said Jim McIlvenny, President of Dow Greater China who officiated at the site's 10th anniversary celebration. Joining McIlvenny at the occasion was Mr. Yao Li, Vice Mayor of Ningbo and other senior officials of Ningbo City Government. Dow is a leader in science and technology, providing innovative chemical, plastic and agricultural products and services to many essential consumer markets. With annual sales of US$33 billion, Dow serves customers in more than 180 countries and a wide range of markets that are vital to human progress, including food, transportation, health and medicine, personal and home care, and building and construction, among others. Committed to the principles of sustainable development, Dow and its approximately 46,000 employees seek to balance economic, environmental and social responsibilities. References to "Dow" or the "Company" mean The Dow Chemical Company and its consolidated subsidiaries unless otherwise expressly noted. The Dow Chemical Company entered a joint venture with China's Zhejiang Chemical Factory to build a $50 million chemical plant in Ningbo, China. The new company, the Zhejiang Pacific Chemical Corporation, in Zhejiang Province on the East China Sea, will produce 20,000 metric tons a year of polyether polyol, Dow said. The Dow Chemical Company entered a joint venture with China's Zhejiang 浙江　Chemical Factory to build a $50 million chemical plant in Ningbo, China. The new company, the Zhejiang Pacific Chemical Corporation, in Zhejiang Province on the East China Sea, will produce 20,000 metric tons a year of polyether polyol, Dow said. Polyether polyol is used to make foam for furniture, seat cushions, mattresses, automobile parts, laminated fabrics and building insulation. The Dow Chemical Company today announces that it will build a new Dow Center in China at the Zhangjiang Hi-Tech Park in Shanghai which can house more than 1,000 employees. The new Dow Center will be comprised of a state-of-the-art research and development (R&D) facility as well as a global information technology (IT) center, with other service and support facilities as well. The Center which takes up more than 65,000 square meters will have created 600 new jobs when it is completed in 2007. In its ongoing drive to improve the competitiveness of its global operations, The Dow Chemical Company announced today that it will shut down a number of assets around the world. As a consequence of these shutdowns, and other optimization activities, the Company expects to incur a charge in the range of $550 million to $650 million, which includes costs such as severance and asset write-downs. This charge will be reflected in Dow’s third quarter of 2006 results. The polyols plant will also shut down by year-end 2008. "The closing of our LDPE facility in Sarnia was a difficult decision, but due to the suspension of ethylene shipments through the Cochin Pipeline and not being able to secure an alternate source of economically sustainable ethylene, it was unavoidable," Glenn Wright, Dow global director for LDPE, said. Ethylene shipments to Sarnia through the Cochin Pipeline were suspended for safety reasons in March 2006. Closure of Dow's PS facility in Sarnia will begin in fourth quarter 2006 and will be concluded by the year's end. "A number of factors, including the significant cost increase of doing business at Sarnia due to the closing of [Dow's] LDPE facility, the need for capital improvements to the aging PS plant to maintain Dow standards, and the difficult long-term market conditions facing the PS industry made it necessary to shut down the Sarnia PS plant," Jeff Denton, Dow product director for polystyrene in North America, said. Also in Sarnia, latex production from Dow's UCAR emulsion systems (UES) facility, as well as production from a polyols plant, will shut down by year-end 2008. Beyond that timeframe, Dow's focus will be to generate as much capacity as possible from its LDPE plant in Freeport, Texas to service customer demand. Dow will fulfill contractual obligations appropriately, but may not be able to maintain the current level of supply to all customers. In March 2006, ethylene shipments to Sarnia through the Cochin Pipeline were unexpectedly suspended by the pipeline's owner, BP, for safety reasons. Since then identifying an alternate economically sustainable source of ethylene has been a top priority for Dow. Multiple options were looked at, including imports and other sources in the area, but none could meet Dow's needs. The LDPE plant at Sarnia has a capacity of 220 MM/lbs annually and employs 33 people. In Fort Saskatchewan, the Company will shut down its chlor-alkali and direct chlorination ethylene dichloride plants by the end of October 2006. This decision was driven by the substantial capital costs required to maintain long-term operations at the 27 year-old facilities - an investment that could not be justified based on expected rates of return. In Porto Marghera, Italy, the Company has made the decision to not restart production of the toluene diisocyanate (TDI) facility, which was shut down for planned maintenance in early August. Fundamentals in the TDI business remain weak due to excess global production capacity. The Sarnia site in Ontario was the first Dow manufacturing operation in Canada. Having been invited in 1942 by the Canadian government to build a plant in Sarnia to produce styrene (an essential raw material used to make synthetic rubber), Dow then built a polystyrene plant in 1947. This site's Polystyrene unit produces two types of polystyrene plastic for a variety of applications from refrigerator linings to foam meat trays to insulation used in home construction. As a founding member of the Canadian Polystyrene Recycling Association in Mississauga, Ontario, Dow is involved in initiatives to collect, process and market recycled polystyrene. Another unit produces low-density polyethylene (LDPE) plastic for flexible packaging and clear films such as those used for bread bags and plastic wrap. Polyols are produced at our Propylene Oxide Derivatives unit as the basic building blocks for a wide variety of polyurethane foam products, such as automotive car seats. The next time you paint your house, you may be using a product which began its life at the Acrylate Latex plant. Using styrene and butyl acrylate, the unit produces the raw material for many adhesives and architectural and protective coatings - including latex paints. Using styrene and butyl acrylate, the unit produces the raw material for many adhesives and architectural and protective coatings - including latex paints. The Fort Saskatchewan site began manufacturing products for the agricultural, oil, gas, transportation, and pulp and paper industries in 1961. Dow moved into the area because of the availability and low cost of natural resources to make its products. Fort Saskatchewan's 2,128 acre manufacturing site uses natural gas and salt to produce basic chemicals and plastics. Natural gas liquids are brought into the site's Fractionator plant by pipeline and separated into five hydrocarbon products: ethane, propane-plus, propane, butane and pentane-plus. The Fractionator plant delivers four products to customers outside Dow and sends the ethane to the Ethylene plant to make ethylene, which is used internally on site to make a number of other chemicals, including polyethylene and ethylene dichloride. The salt found below the Fort Saskatchewan site is used to make brine, which is then used in the Chlor-Alkali process to make chlorine, caustic soda and hydrochloric acid. The site also receives shipments of polystyrene, which is used to make STYROFOAM* brand insulation. In the past, Dow often looked for new market opportunities and developed the technology and customer base on its own. Today, with greater competitiveness and an increased awareness of the need to more quickly create value, Dow explores joint ventures as a key means to do what it previously did on its own. On July 1, 2004, a new 50/50 joint venture between Petrochemical Industries Company (PIC) of Kuwait, a wholly owned subsidiary of Kuwait Petroleum Corporation, and The Dow Chemical Company was formed for the manufacture, marketing and supply of ethylene glycol, worldwide. Dow Canada's former Ethylene Glycol (EG) unit located at Fort Saskatchewan is now part of MEGlobal. The recent cancellation of ethylene transportation on the Cochin pipeline for safety reasons will also be impacting Sarnia operations this year and potentially beyond. NOVA Chemicals Corporation announced today the company exercised its right of first refusal to purchase all of Dow Chemical Canada Inc.'s 32.5 percent interest in the Cochin Pipeline System, which is subject to regulatory approval. The Cochin pipeline system provides a strategic link for NOVA Chemicals to transport ethylene and surplus ethane between its manufacturing facilities in Joffre, Alberta and Sarnia, Ontario. NOVA Chemicals already holds a 20 percent position in the Cochin pipeline and does not intend to keep this additional share as a long-term investment. "The Cochin pipeline system is an important strategic part of our Alberta Advantage," said Jeffrey M. Lipton, President and CEO, NOVA Chemicals. "However, we are a focused commodity chemicals company and not interested in holding a larger position in pipeline operations long-term." The Cochin Pipeline consists of approximately 1,900 miles of 12-inch-pipeline operating between Fort Saskatchewan, Alberta and Sarnia, Ontario. The pipeline transports high vapor pressure ethane, ethylene, propane, butane and natural gas liquids (NGLs) to the Midwestern U.S. and Eastern Canadian petrochemical and fuel markets. Formed in the late 1970s, the pipeline system is a joint venture of subsidiaries of BP, Conoco, Shell, Dow Chemicals and NOVA Chemicals. NOVA Chemicals is a focused commodity chemical company, producing olefins/polyolefins and styrenics at 18 locations in Canada, the United States, France, the Netherlands and the United Kingdom. NOVA Chemicals Corporation announced today, its intention to sell approximately 32.5 percent of the Cochin Pipeline System to Kinder Morgan Energy Partners, L.P. .
"Kinder Morgan is one of the largest midstream energy companies in the United States with notable expertise in natural gas pipeline transportation and storage operations" said Jeffrey M. Lipton, President and CEO of NOVA Chemicals. NOVA Chemicals recently exercised its right of first refusal in order to purchase the 32.5 percent pipeline interest of former joint-venture-owner Dow Pipeline, Ltd. At the time of that announcement, NOVA Chemicals said the company did not intend the purchase to be a long-term investment. The sale to Kinder Morgan is subject to completion of the acquisition of Dow's interest, as well as rights of first refusal from the other Cochin pipeline joint venture owners and regulatory approval. Kinder Morgan Energy Partners, L.P. (NYSE: KMP) today announced that it has acquired an additional 2.3 percent ownership interest in the Cochin Pipeline System from Shell Canada Limited. Kinder Morgan Energy Partners, L.P. (NYSE: KMP) today announced it has agreed to purchase an additional 10 percent interest in the Cochin Pipeline System from NOVA Chemicals Corporation for approximately $29 million in cash. Cochin is a joint venture of KMP and subsidiaries of BP and Conoco. Dow Polyurethanes, a business unit of The Dow Chemical Company, has successfully completed preliminary development of natural oil polyols (NOPs) for urethane formulations and will begin product sampling with a select group of customers immediately. Dow plans to begin market development scale production of the next-generation polyols in 2007. Since first announcing its intention to conduct small-scale product testing of NOPs with select customers in June of 2005, Dow has continued to invest in further advancing the technology and capabilities of these next generation products. The company has now achieved the performance milestones necessary to support moving ahead to the market development scale production phase. "Dow's mastery of polyurethanes chemistry - earned from over 50 years in the business - along with new technology, has enabled us to make significant progress on many of these critical performance issues," Dawson explained. We've achieved this improved level of performance by creating optimized blends of NOPs and propylene oxide polyols. By working with a select group of customers during this next phase, we will continue to refine the performance attributes of these products so that they meet specific customer needs." Dow's investment in natural oil polyols is consistent with the company's recently announced 2015 Sustainability Goals, one aspect of which calls for investment in products and technologies that will help reduce industry's dependency on non-renewable resources. Natural oil polyols can be made from soybeans, sunflower seeds or rapeseeds, although Dow's technology currently focuses on a polyol that contains a significant percent of oil extracted from soybeans. The Dow Chemical Company reports that it has made significant progress toward developing consistent soy-based polyols for urethane formulations. Soy-based polyols can substitute for a considerable percentage of hydrocarbon-based polyols, providing customers with greater economic stability and significant environmental advantages. David Babb, Ph.D. and scientist for Polyurethanes at Dow presented the information at a recent United Soybean Board meeting held in Detroit, Michigan. Dow plans to start product sampling with select flexible slab customers in the U.S. and Europe in the fourth quarter of 2005 and will continue at least through 2006. Once pre-commercial trials are successfully completed, the company will evaluate full commercial investment in this technology. Polyols are a component in the production of polyurethanes, which are rigid foams, flexible foams, and adhesives used in appliances, automotive parts, adhesives, building insulation, furniture, bedding, footwear and packaging. Dow is a leading global supplier of polyether polyols and other polyurethane raw materials, and offers one of the broadest lines of polyurethane products in the industry. For more information on Dow Polyurethanes, visit www.dowpolyurethanes.com. The joint ventures planned for Asia are typical of Dow's "asset-light" approach, which works by offering a combination of intellectual property and money in exchange for a share in a world-scale production facility. Here’s how we are implementing our strategy …. on the Basics side, we are pursuing what we call our “asset light” approach … investing in conventional joint ventures …like those in Kuwait and Oman, for example … or, less conventional ones, like MEGlobal and Equipolymers, where we sold our assets into joint ventures. We benefit from our asset light approach in four important ways. But in pursuing our asset-light strategy, we will not abandon one of the great competitive advantages of our company: site and product integration, which supports our low-cost position in both our Basics and Performance businesses. The Dow Chemical Company, a world leader in science and technology, today commenced construction of a new state-of-the-art Dow Center in Zhangjiang Hi-Tech Park, Shanghai. A major milestone for Dow's development in China, the world-class facility will further strengthen the Company's capability to offer unique and innovative solutions to meet rapidly evolving customer needs in China and the Asia Pacific area. The 65,000 square-meter Dow Center will be a major establishment supporting a variety of key functions which include a Research and Development (R&D) facility, a global Information Technology (IT) center, as well as other administrative and support facilities. The new R&D facility - to be supported by hundreds of scientists - will include over 60 laboratories dedicated to developing innovative solutions for a wide range of industries vital for human progress such as building and construction, automotive, human health, and personal care. The new IT Center will provide leading edge technologies - hardware, software and integrated systems - as well as services and work processes to support Dow's operations in China, Asia Pacific and globally. With 2005 revenues at US$2.3 billion, Greater China is Dow's third largest market behind the US and Germany in terms of sales. US-based Dow Epoxy, a business unit of the Dow Chemical Co, will expand its allyl chloride manufacturing capacity at its plant in Freeport, Texas, by 20,000 mt/year (45 million lbs/year), the company announced Tuesday. The added capacity, expected to be available in the third quarter of 2007, brings total capacity at the allyl chloride plant to 360,000 mt/year (794 million lbs/year). The debottlenecking project would cost the company $1.6 million. In addition to feeding the external market, the allyl chloride expansion will allow Dow to continue meeting its internal requirements for the manufacturing of epichlorohydrin and other important intermediates, resins and chemicals. The Dow Chemical Company and the Bayer Group today announced that they have reached agreement for Dow to acquire Bayer’s Wolff Walsrode business group, primarily involved in cellulose products. The transaction is expected to close in the first half of 2007, subject to regulatory approval. Financial terms have not been disclosed. Bayer announced in March 2006 that it would divest its subsidiaries H.C. Starck and Wolff Walsrode AG. Wolff Walsrode, with 2005 revenues of more than US$400 million, would become an integral part of Dow’s Water Soluble Polymers business. The new business would combine Wolff’s advanced production technology and proficiency in HEMC (Hydroxyethyl Methyl Cellulose) and CMC (Carboxymethyl Cellulose) chemistry with Dow’s leading HPMC (Hydroxypropyl Methyl Cellulose) product brands and industry expertise. Cellulose derivatives produced by the combined businesses are used across a broad range of industry sectors, including construction materials, personal care, pharmaceuticals, food and a number of specialty applications. The global Water Soluble Polymers business is a US$ 650 million business within the Performance Plastics and Chemicals portfolio of The Dow Chemical Company. It offers a wide portfolio of cellulose ethers and provides application and formulation expertise, products, and related technologies. The business employs nearly 700 people at 14 sites worldwide. Its brands include Amerchol, a global manufacturer and marketer of performance ingredients for personal care formulations; CELLOSIZETM Hydroxyethyl Cellulose (HEC); Dow Dispersion Sciences, an advanced technology for the personal care industry; DOW Latex Powders; ETHOCELTM Ethylcellulose Polymers; METHOCELTM Cellulose Ethers; and POLYOXTM Water-Soluble Resins. With its almost 200-year history, the Wolff Walsrode AG is one of Bayer's most traditional production sites. As a holding company, Wolff Walsrode operates the Competence Center for cellulose chemistry and markets the Walsrode Industrial Park (which is now open to outside companies), one of the most highly regarded economic locations in Lower Saxony. The company has transferred its operations to the independent companies Wolff Cellulosics and CaseTech and the technical service provider Probis. It is particularly strong in the field of cellulose derivatives and services such as engineering, utilities, technical service, logistics, waste management and environmental protection, supporting Bayer Material Science in many key entrepreneurial functions. In this capacity, it makes a vital contribution to enabling its parent company to successfully assert itself as an innovative manufacturer. The CEO of Wolff Walsrode, Dr. Dieter Herzog, has no doubts whatsoever: "We play an important role within the Bayer MaterialScience group and are the driver for technological progress in the field of cellulose chemistry." Our everyday life would be inconceivable without cellulose derivatives, which are used in a vast number of different products. They serve as thickeners in building materials such as tile adhesives, plasters and emulsion paints and also in foodstuffs, cosmetics and pharmaceuticals, and as binders in printing inks and surface coatings. With its 1,270 employees, the Wolff Walsrode company posted sales last year of around EUR 329 million. The Dow Chemical Company has started up its first ever production facility in Russia. The plant, located at Kryukovo, outside Moscow, will produce STYROFOAM brand extruded polystyrene (XPS) insulation boards for Dow Building Solutions, one of Dow’s market-facing business units. Dow Chemical says it pursuing potential polypropylene (PP) and polystyrene (PS) joint ventures as part of an extension of Dow's "asset light" strategy in its basics business. Dow chairman and CEO Andrew Liveris says that the company will make a formal announcement in the next few months. The Dow Chemical Company ("Dow") announced today that it plans to expand production at its Freeport, Texas, MDI facility by 50 percent over the next 36 months. In September 2006, Dow also announced plans to expand MDI production at its Estarreja, Portugal, site. These two projects will significantly increase Dow's global MDI capacity and, in effect, support the future growth plans of Dow's performance businesses, which include Dow Polyurethanes. A strong platform for developing a range of performance products and solutions furthers Dow's strategic portfolio shift to performance businesses. The Freeport MDI plant came on stream in 2005, and its original design blueprint provided for the possibility of expansion. The expansion will be executed in two stages, with the first half of increased capacity expected to be available in early 2008. When completed, the increase will account for an additional 250 million pounds of name-plate capacity per year of MDI manufactured at the Freeport site. Speculation this week that Dow Chemical may forge a link with India's Reliance Industries Ltd. came as no surprise to analysts, who expect the U.S. company to move soon on its strategy to shift toward specialty products. The Times of India on Friday said Reliance is close to signing a deal to establish a $20 billion joint venture that would include Dow's basic chemicals and plastics business. After the demerger, Reliance will buy a 59% stake in the new company for about $12 billion, while Dow will retain the remaining 41% stake, valued at about $8 billion. The Dow Chemical Company announced this morning that Pedro Reinhard, a senior advisor and member of the Board of Directors, and Romeo Kreinberg, an officer of the Company, engaged in business activity that was highly inappropriate and a clear violation of Dow’s Code of Business Conduct. Reinhard and Kreinberg were involved in unauthorized discussions with third parties about the potential acquisition of the Company. The Company took swift action: information about the misconduct was first disclosed to Dow on Tuesday, April 10; the Board of Directors was informed on Wednesday, April 11; and the employees were terminated this morning with full support of the Board. Shares of Dow Chemical Co. soared on Monday after a British newspaper reported a group of Middle Eastern investors and U.S. buyout firms was preparing a bid for the huge chemicals and plastics maker. The Sunday Express, a British tabloid, reported over the weekend that the group - including private equity firm Kohlberg Kravis Roberts & Co. - had secured financing for a $50 billion (EUR 37.13 billion) bid for the Midland, Michigan-based company. Reiterating comments made earlier today by Andrew Liveris, chairman and CEO of The Dow Chemical Company, the Company said that its Board of Directors fully supports Dow's management team and its plan to continue enhancing value for all shareholders through the execution of its strategy. The Company has had no discussion about a leveraged buyout. Dow announced today that is has increased its total global nameplate production capacity for propylene oxide (PO) to more than 1,900 kilotons per annum (KTA) and total global production capacity for propylene glycol (PG) to 705 KTA. The additional capacities are the result of expansions in PO and PG production at the Stade, Germany facility, as well as low-capital cost expansions implemented at Dow's other PG plants. Upon completion, in 2009, expansions at Stade, Germany will make it the world's largest PG facility, with a capacity to produce 270 KTA. Effective January 2007, Dow also increased PO production at Stade to 630 KTA, an increase from 590 KTA. Dow Chemical is planning to invest at two of its polyurethanes chemicals plants in Europe over the next two years. The company plans to increase capacity at its polyols plant in Terneuzen, the Netherlands, by 180,000 tonnes, and at its propylene glycol facility in Stade, Germany, by 45,000 tonnes over the 35,000 tonnes it added earlier this year. Dow has recent and current expansions in Europe with its joint venture with BASF to build a hydrogen peroxide-to-propylene oxide facility at Antwerp, Belgium, for 2008 start up and the completion of a 40,000 tonnes expansion of its propylene oxide capacity at Stade in January of this year, bringing its total PO capacity at the plant to 630,000 tonnes. The Dow Chemical Company (Dow) and Chevron Phillips Chemical Company LP (Chevron Phillips Chemical) have signed a non-binding Memorandum of Understanding relating to the formation of a joint venture involving assets from their polystyrene and styrene monomer businesses in the Americas. The new venture is subject to customary regulatory review, due diligence, completion of definitive agreements, and corporate and other approvals. Upon the necessary approvals, the parties would expect the transaction to close in the second half of 2007. The 50-50 joint venture is expected to establish the competitive model for an integrated producer of polystyrene in the Americas. Subject to due diligence, the parties intend to contribute the following assets to the venture. Dow intends to contribute: a styrene monomer plant (Camacari, Brazil) and six polystyrene plants (Gales Ferry, Connecticut; Ironton, Ohio; Joliet, Illinois; Torrance, California; Cartagena, Colombia; and Guaruja, Brazil). Chevron Phillips Chemical intends to contribute a styrene monomer plant (St. James, Louisiana) and a polystyrene plant (Marietta, Ohio). With approximately $7 billion in assets and over $12 billion in revenues in 2006, Chevron Phillips Chemical Company LLC with its affiliates is one of the world’s top producers of olefins and polyolefins and a leading supplier of aromatics, alpha olefins, styrenics, specialty chemicals, piping and proprietary plastics. The company produces chemicals that are essential to manufacturing over 70,000 consumer and industrial products. Headquartered in The Woodlands, Texas, the company has more than 5,000 employees worldwide. For more information about Chevron Phillips Chemical, go to www.cpchem.com. Three Dow Chemicals plants were not included in the 50-50 joint venture agreement with Chevron Phillips Chemical Company involving polystyrene and styrene monomer assets in the Americas. Dow plants excluded from the agreement are in Pevley, Missouri; Freeport, Texas; and Midland, Michigan. The Pevley plant is used predominately to make styrofoam feedstocks, according to a company source. "Since Dow is strong in the styrofoam business, we plan to manage it," the source said. The plant in Freeport produces derivatives for styrofoam, latex and ABS. Dow plans on keeping that site, the source added, so that it can maintain an internal supply of styrene. The operation in Midland is a mega site, and it is being held by Dow for business reasons, the source explained.